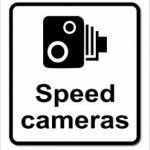 In this new Discovery the customer wanted the latest speed camera detection system, with the new M25 digital camera systems it was time to fight back! The Stinger VIP will cover you from all Radar & laser threats. The Laser shield is now the new HD (high definition version) and will enable a cloaking effect to give you maximum protection.